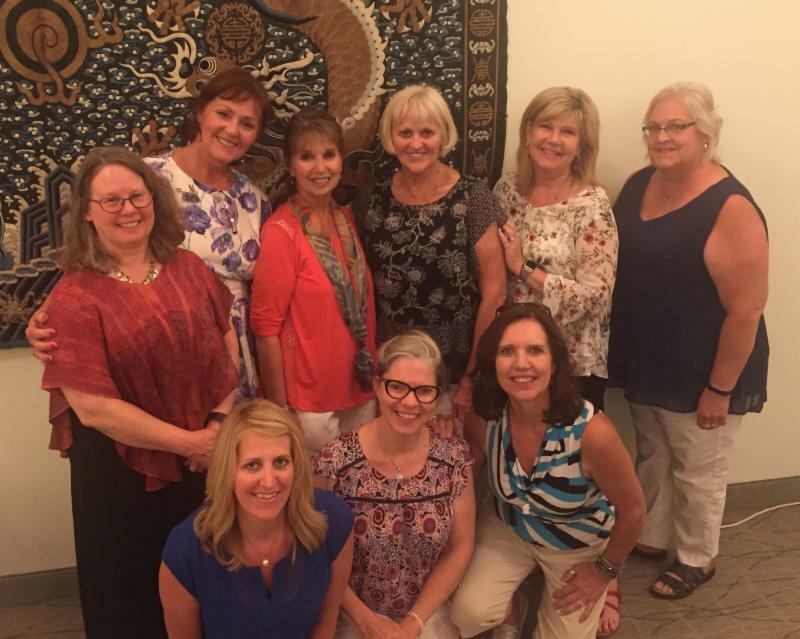 This year's July Quarterly Meeting was especially enlightening! Our speaker was Annette Rugolo. 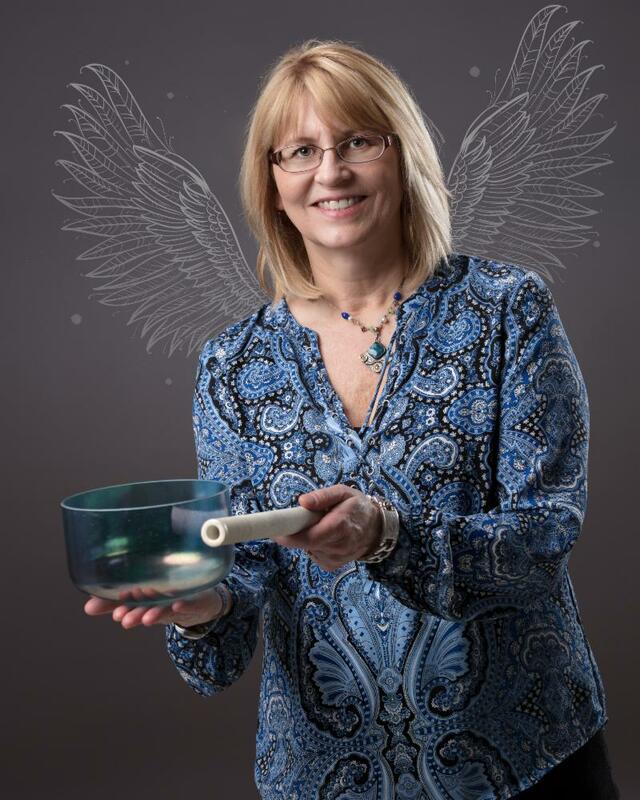 Annette is a certified Master Instructor for the Inner Diamond Meditation and Diamond Dowsing programs in the Marie Diamond Transformation School and has given Master classes to students worldwide. Annette shared her knowledge of the ancient history of dowsing and also illustrated the dowsing process in our meeting room at the Marsh! The results were obvious. Everyone in the room had a chance to experience the energy shifts. Annette was also gracious in sharing a download to her E-Book "Listen Up! Your Home is Talking to You", a download of her meditation "Tubes of Light Personal Guided Meditation",Light Meditation for Your Home and a special invitation to her next Beginning Dowsing class with all that attended. We are all very fortunate to have Annette here in the Twin Cities and a supporter of our Feng Shui Institute of the Midwest! 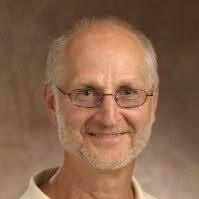 Ralph also is a Certified Tai Chi Master/Trainer and Qi Gong Instructor and Master/Teacher and practitioner of several forms of energy healing techniques and holds regular workshops to train health care providers and other interested people. Sign-up Today! Earlier this year, during one of our Wind & Water School strategy meetings, Lisa Janusz (registrar/faculty/partner) and I came to the realization that 2018 marked the School's 20th anniversary. We decided such tenacity deserved a celebration. On 9-9-18 (no accident about the date), The School will honor those who have been students, those who have opened their homes and businesses to us, as well as those who have promoted the School's vision in some way. There will be food, a cash bar, a wall of honor for students, photos to reminisce by, a short program-----hey! there's a School song in the works! honored to have you be part of our celebration. Watch for an upcoming invitation. Coming Soon - New FSIM Website! Newsletter and emails: New - Free sign up for newsletters and emails on www.fsim.org; manage your own information and preferences and be ready to join at another level easily in the future. Practitioners: Update your CEUs as you take them; update your own online Practitioner Directory listing; sign up for or renew your membership; download the FSIM logo for your use (website, business cards). New Practitioner Directory format: Ability to add up to 12 types of online and social media accounts where people can reach you; Search Engine Optimization (increased "find-ability") for your personal listing. Clarified and updated Membership and CEU standards and information. Multiple places to easily register for events; CEU hours listed for each qualifying event. Stay tuned for future benefits at all levels, including the new, free newsletter member level! We'd love your feedback about the new site - both "what works" and if you see anything unusual. If you do notice anything unusual when using the new website, please contact me by going to the new Contact Us page on www.fsim.org, select "Website Issues" and describe the situation in as much detail as possible and what type of device you are using (phone/model, iPad, desktop, PC or Mac, etc.). If you are able to do a screen print or a printout of any errors or messages, that will get you extra happy points. We are doing everything we can to make sure your website experiences are good ones. I will have more information in the August and September newsletters, for existing members, about how to Sign In for your membership account. And, anyone will be able to Sign Up and join online at any time (Practitioner level does have CEU and other standards to join). Until then, you will still be able to see it all, register for it all, and enjoy our site from newsletters to articles to FAQs. Thank you ahead of time for your patience and helpfulness as we grow into our new site. I'd also like to thank everyone who has worked on our FSIM Web Committee (Elaine Anderson, Debbie Miller, Ellen Johnson, and Kim Julen) and the rest of our FSIM Board for all of the work and input over the last year and a half, as well as Cheryl Larson for establishing and creating our first website. Our Feng Shui friend member, Cindy Eyden's 92 year old mother, Doris Costello received her Angel Wings on Tuesday, June 26th with her daughters by her side. Please hold Cindy and her family in your loving hearts and healing prayers. A Mother's Love lives on forever. 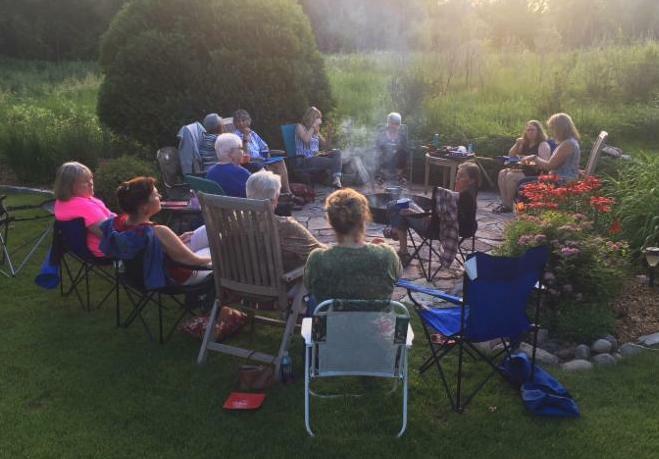 We came together as one for the C3 Summer Solstice gathering at Debbie Miller's backyard around the bonfire in community with meditation, reflection, releasing the old and calling in the renewed yang summer energies. The power of being in circle with compassionate soul-sisters in nature is food for the soul. Not to mention eating smore's around the bonfire certainly marks the start of the summer tasty, sweet treats. Our next C3 gathering is on September 21st, in St. Paul.